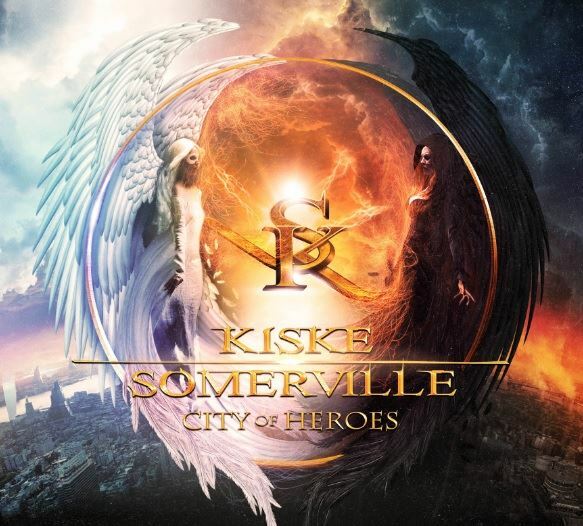 Frontiers Music Srl will release the new album from KISKE/SOMERVILLE, titled "City Of Heroes", on April 17 in Europe and April 21 in North America. 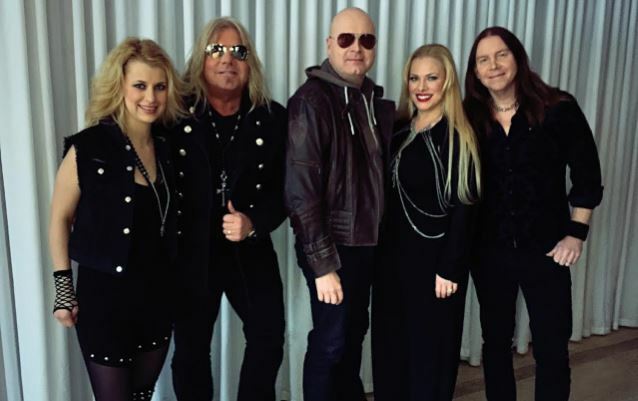 KISKE/SOMERVILLE is the musical collaboration between vocalists Michael Kiske (HELLOWEEN, UNISONIC, PLACE VENDOME) and Amanda Somerville (TRILLIUM, AVANTASIA) and this new recording is certainly going to be one of the highlights of the season in rock music. Kiske's soaring overtones seem to blend perfectly with the ethereal quality and diverse range of Amanda's voice and this time the results are truly over the top. "City Of Heroes" sees Mat Sinner (PRIMAL FEAR, SINNER) and Magnus Karlsson (STARBREAKER, PRIMAL FEAR) handling most of the songwriting (with a song contribution "Breaking Neptune" from Sander Gommans, formerly of AFTER FOREVER, and Amanda Somerville herself) and with Sinner overseeing the production in various recording studios in Europe. Jacob Hansen (VOLBEAT, AMARANTHE, PRIMAL FEAR, PRETTY MAIDS, DORO) then took care of the mix of the album ensuring a sonic quality second to none. KISKE/SOMERVILLE's self-titled debut album instantly aroused enthusiasm in the rock and metal community. 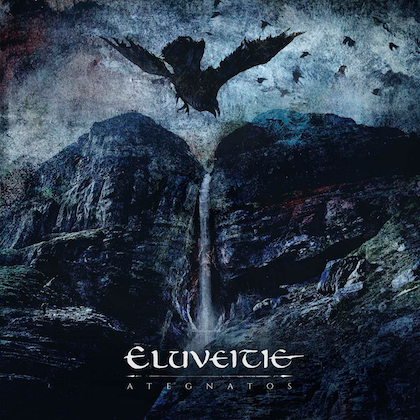 The two videos off the CD — "If I Had a Wish" and "Silence" – amassed approximately three million plays to date. Considered a "metal diva" in the European symphonic metal scene, Amanda Somerville is an American singer-songwriter from Flint, Michigan whose catalog of projects, guest appearances and live shows is an impressive body of work. Since 1999, she has divided her time between the U.S. and Europe, primarily Germany and The Netherlands. She co-wrote the metal opera "AINA" and has been a vocalist, songwriter, producer and/or vocal coach for many bands like AVANTASIA, EPICA and KAMELOT, giving her more credibility in metal circles than she ever bargained for. Some of her most recent endeavors include working with renowned artists Alice Cooper, Bonnie Tyler, Ian Gillan (DEEP PURPLE) and many others. Hamburg-born singer Michael Kiske is best known as the former lead vocalist for the German metal gods HELLOWEEN. After his departure from the band, Kiske recorded four solo albums, participated on various metal and rock related projects, such as PLACE VENDOME, and he also performed with numerous bands as a guest vocalist. In late 2009, he formed the hard rock/heavy metal band UNISONIC, together with his former HELLOWEEN bandmate Kai Hansen, and began touring again after 17 years. 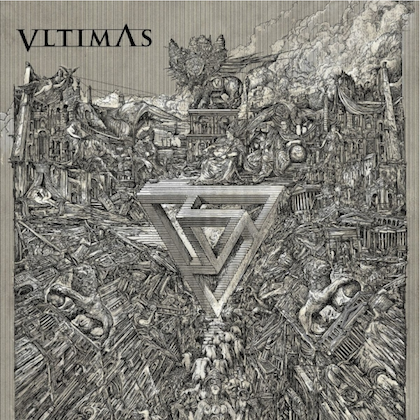 "City Of Heroes" will be released in CD, deluxe edition with a bonus DVD and two-LP vinyl gatefold sleeve. 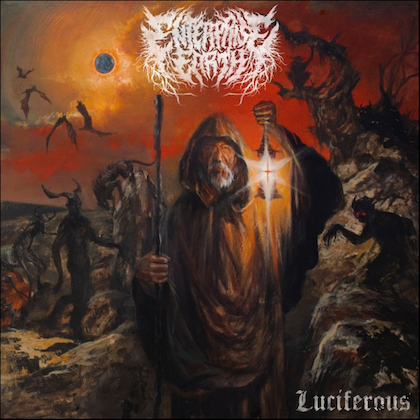 An album trailer is available below.